So begins the inaugural chapter of the reign of Chthe’ilist – a band so deeply intent on delivering their strain of noxious, cavernous death metal that the journey through their otherworldly creations is brought vividly to life. The nightmarish tales that accompany the music however lead each and every time to a single, unequivocal fate: death. Despite healthy influences within the old school Finnish scene and a desire to immerse themselves in the style mastered by the likes of Adramelech, Demilich and Demigod, Chthe’ilist’s sound is unmistakably their own. 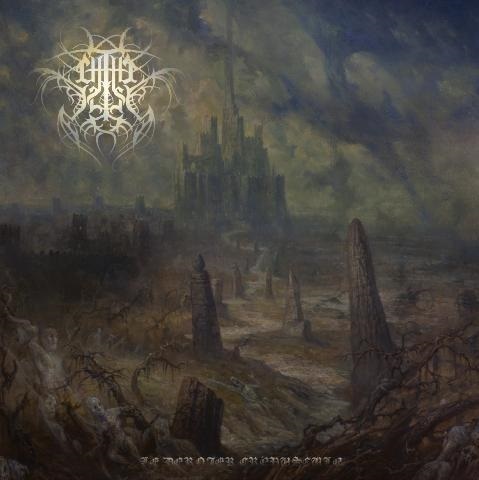 The world they conjure is also their own, and despite the connection to the master of cosmic horror that many will initially suspect, Quebec’s own purveyors of putridity merely draw inspiration from H.P. Lovecraft’s works rather than directly associating themselves with his universe or the wider world of the Cthulhu Mythos . Chthe’ilist – in a similar fashion to fellow nightmare-dwellers Portal – have instead crafted an entirely unique and personal realm of torment, complete with its very own vowel-hungry lexicon, brandishing a particularly grisly and subterranean style of death metal that accompanies the listener on their journey through diabolical fantasies. Although Le Dernier Crépuscule is the trio’s début full length release, and with merely a single demo recording to their name previous to this (2012’s hilariously unpronounceable Amechth’ntaas’m’rriachth), Chthe’ilist sound remarkably seasoned, with this album proving not only to be a lesson in incessant, malignant death metal from the hellish world of the band’s collective mind, but also stands tall as an all-consuming experience that fans of the genre are not going to easily forget. The individual members’ involvement in numerous other projects is a potential contributor to this, not to mention the band itself having been formed six years previously, with all lyrics and songwriting completed during the intervening years. 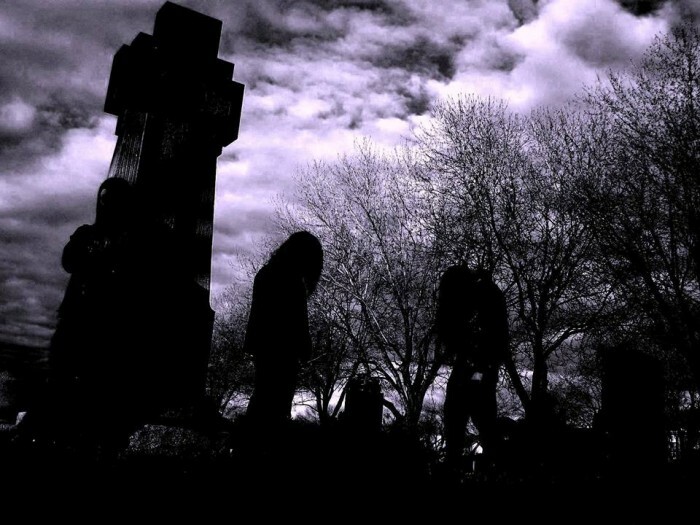 Clearly in no rush to release the album, their forbearance appears to have paid off; the end product is a tour de force of well-produced, riff-heavy death metal and tenebrous atmosphere, with little respite – bar the sickening sound effects of unseen creatures grasping their victims and tearing them apart in sadistic glory. The lyrics revolve around various short but depraved narratives that include attempts to locate the fictional domain of Eil’ûdom, only for each endeavour to be foiled by the shadow-lurking indigenous dwellers that delight in inflicting gruesome deaths upon all trespassers. The music is suitably uncompromising; Philippe Tougas’ abyssal guttural growls are a constant presence amidst the reverberating maelstrom, experimenting at times with his versatile vocal abilities to create sounds that are decidedly inhuman. The occasional harmonised chanting merely adds to the ominous mood, taking nothing away from the aural punishment inflicted upon the listener over the better part of an hour. ‘Into the Vaults of Ingurgitating Obscurity’ acts as a fantastic introduction to all aspects of the band’s style, yet it is within the bold throes of ‘Voidspawn’ that Chthe’ilist truly begin to find their feet, switching between mid-paced groove, chaotic blast beats and shredding leads all intertwined within the doom-laden chaos. Closing track ‘Tales of the Majora Mythos Part 1’ sees the band going completely off-topic, throwing in a lyrical curveball that adds – of all things – a link to the video game series The Legend of Zelda. This has no real bearing on the overall product however, and the rich sense of the macabre that has built up over the course of the album is retained, with the song’s grand scope and execution ensuring it affects neither the album’s appeal nor its overall semblance. A sense of formulaic structure creeps in at times due to the dismal and cabalistic weightiness carried by the individual songs, but ultimately, Le Dernier Crépuscule is a work to be taken as a single, sense-crushing experience. The world (and associated lyrics) crafted by Chthe’ilist’s hands arguably plays a significant part in this, with the simultaneously intriguing and horror-drenched storytelling guiding the listener through the ghastly landscapes borne from their lurid imaginations.